1. Every literary agent is different. I know, it’s annoying and means you have to take a slightly different approach with each one, but there’s no standard job description for agents, I’m afraid. They don’t even offer a standard service to the author. Some agents will only want to talk to you if you have two publishers making you an offer and you need someone to hold an auction and create a bidding war. Such agents will take their 15% cut of whatever deal is agreed and then you’ll never hear from them again. Other agents, by contrast, will look at your work and, if they take you on, proactively look to place and sell your work to a publisher. 2. Where to start then? Well, you can do worse than start with the Writers’ & Artists’ Yearbook (see the link called ‘UK publishers and agents’ in the right-hand column of this site), which lists all the literary agents in the UK and details which genres they represent. It will also tell you the best way in which to approach these agents, but I’d always recommend going to the agent’s website to check their submission guidelines. 4. This list will become shorter as you check their websites (if they have them) and discover that some of them are ‘closed’ for new submissions because they have no more room for new clients. 5. But let’s say you’ve found a few that look approachable and are now going to send material. Remember, these agents get about 100 new manuscripts a week (far more than they have time to read), so how are you going to make sure your material gets to the top of their slush pile or stands out? 6. Just having a great manuscript isn’t good enough! If your submission doesn’t stand out enough, the agent isn’t even going to sit down and read your manuscript in order to discover it’s great, now are they? Basically, your cover letter and synopsis need to be killers. They need to be masterpieces of sales and marketing. Oops, you think to yourself. We creative author-types don’t often know too much about marketing. 7. Your cover letter needs to detail your USPs (‘unique selling-points’). You need to tell the agent: if you’ve won any writing competitions (or been shortlisted), if you have any ISBNs or other publications to your name (magazine articles, etc), if you’ve posted your material online and got a massive online readership, if you’ve self-published at all and got good sales figures, that an established author allows you to quote them as endorsing your writing, whether you have a degree in literature, whether you are semi-famous for anything other than writing, etc. 9. As suggested from the point above, if an existing well-known author gives you a quote you can use by way of reference or endorsement, then things are easier. In fact, well-known authors are often more approachable than agents and publishers. So find some on facebook or their own website and see if you can strike up a relationship of sorts with them. Buy and read their book or something to get them talking to you first, and then ask if you can send them something. I’m a sucker when people do that with me. 10. And if you get nowhere with the UK agents, don’t forget the US. The agency called JABerwocky is worth a look: http://awfulagent.com/. 11. Failing that, don’t just give up. Where there’s a will, there’s a way! There are other publishing options (see my other pages under ‘author advice’). 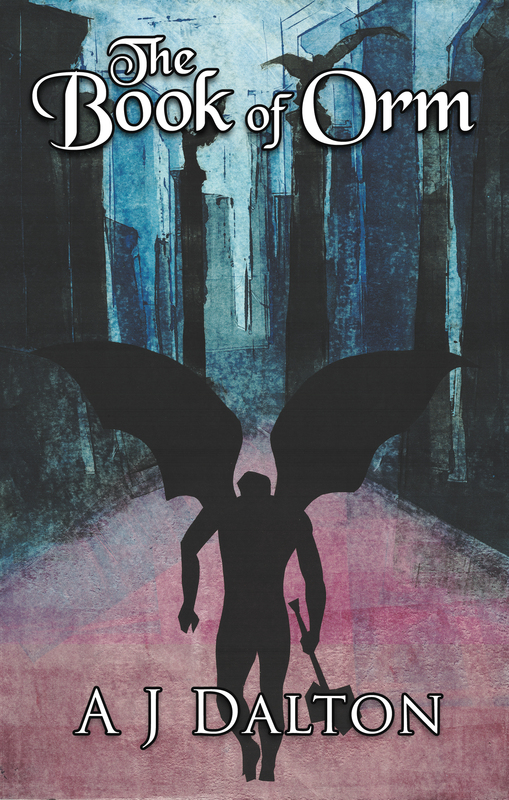 Return to home page: https://metaphysicalfantasy.wordpress.com. Just a few months? Took me 25 years! 9 out of 10 people who fail do so because they give up. 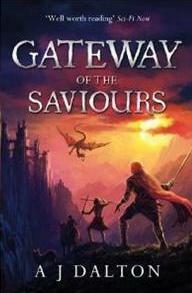 How did I get my breakthrough with Gollancz? I self-represented. I met them face-to-face at the national fantasy convention and pitched to them… a year later, I finally got a deal. I have previously self-published too, to build sales stats and evidence of a market for my work. It’s all about the numbers! This information seems really useful. Just finished a first readable draft of my novel, and trying to get my head around the world of literary agent. Thanks. Thank you for this really helpful page. I’ve been using it to approach literary agents with a science fiction trilogy I have written. I do have a question, though. My trilogy is inherently British, focusing on real-life British historical events, but they are events that I suspect Americans will be interested in. So I’m going to approach US literary agents as well. You’ve recommended that people do this. Are they any pitfalls? Do you have any pointers on how to approach them? And do US agents expect Brits to rewrite their manuscripts with American spellings before submission? Thanks – and thanks again for a great page of advice. Pitfalls. Well, a US publisher will only pay a book advance of 5000USD for a first-time author. By contrast, a UK publisher might pay up to 10,000GBP. Secondly, a foreign agent might charge you a 20% fee rather than the usual 15%. Pointers on how to approach them? Well, in the same way as any other agent – first 10,000 words, a one-page synopsis and a cover letter. But you should also check the agent’s site, as each agent or publisher tends to have its own requirements. Some agents will just want you to send an enquiry letter and nothing else. Rewriting. No, you won’t have to rewrite. That is the job of the publishing editor. Thank you very much! That’s quite a difference between US and UK book advances! I’m minded to keep pursuing UK agents. Got a tiny bit of feedback with one rejection, and she’s said that if I do a rework, she’ll read the manuscript again, which I took pretty positively. Sorry to ask another question (I expect you’re crazy-busy) but have you ever done a rework of a manuscript and then sent it out to all the same agents? Think that’s what I’m planning to do, wondered if you had any advice on how to approach agents who have rejected you a second time? It is a very good sign if an agent says they will look at a rework. It is a rare occurence, in fact. Agents are inundated with so many submissions (often unsolicited) a week that they rarely have time even to read what they’ve been sent. They will give stuff a cursory glance at best – and quickly reject a massive percentage (cos they can’t take on hundreds of clients a week). If your submission managed to ‘grab’ them enough that they’ve asked for a rework, then you’re in business. I’ve never had to rework myself, as it happens. I imagine it would be annoying to do so, but it’s the nature of the game. Hey Adam, sorry, I’ve only just seen this message (when I got your first reply, I got an email, but never got one when you replied on this occasion). Thanks for that, though she didn’t actually ask for the rework, so it’s not quite as positive as perhaps I made it sound – she initially said it wasn’t working for her, that it was like I was ‘reporting’ events rather than telling them dramatically. I asked if she could be more specific and she said I was using expository sentences rather than relaying backstory through the narrative – didn’t give me any examples but I think I know what she means. 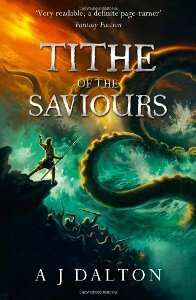 She referred me to an author – Wilbur Smith – who’s a genius at it, she says. So I’m reading one of his books at the moment. I simply said, if I do a rework would she be willing to have a look at a revised version in the future and she said “sure”, so I’m not sure it really means anything – but I will make sure I send any revised version to her first! She’s the only agent so far who’s given me anything to work with! What a minefield this industry is! The fact that it took you 25 years to get a deal gives me both hope and angst! But I understand from reading your website that your success in self-publishing is kinda what got you to where you needed to be – that’s another feat in itself! Ah, ‘exposition’ – one of the classic enemies of dramatic story-telling. Exposition is when either the narrator or a character explains the larger ‘plot’ to the reader. This is BAD story telling. A plot should unfold through action and events rather than being a set of character-spoken explanations. There is tonnes of info about this in just about every creative writing self-help book (not to mention every other website). I’m not surprised the agent didn’t give you examples – you are expected to know about such things, I’m afraid. Ah, well, it’s positive the agent said she would look at a rewrite – she must like the general plot/scenario. However, it sounds like you have a lot of work on your hands if you need to reorganise your approach to story-telling. Hopefully not too much… I’ve already got some ideas as to weaving the backstory into the narrative better, and it’s all a learning curve! I believe in the story enough to make it work 🙂 and thank you for the luck! 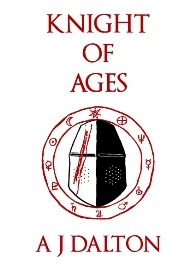 Do you think – and this might be pushing it, so please feel free to say no – there is any chance you might be able to give my first three chapters a look-over yourself? I will happily return the favour in some way, whether it’s buying some of your books, leaving you a review somewhere or something else that might be useful to you. I would greatly appreciate any insight you could offer, but totally understand if you’re too busy. I checked back to your example and discovered it was 66 words!!!!! LOL. Hey Tony! Thirty words is for a TV/film ‘logline’. The elevator pitch for novels is usually 50 words, but you can get away with as much as 75. Basically, it’s what you can deliver verbally (and clearly) in 30-60 seconds. Where did all the epic fantasy agents go? I see so many on the shelves but it’s like the market has become flooded or something because they don’t seem to want that genre anymore. Funny you should ask – I’m actually doing my PhD on fantasy and scifi subgenres. Epic fantasy was the dominant subgenre of fantasy (in the UK and US) during the 1980s and 90s. Come the early 2000s, the dominant subgenres were steampunk, urban fantasy and Pratchett’s comedy fantasy. 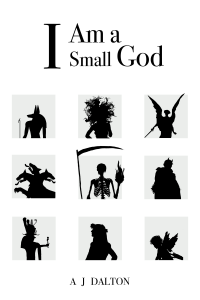 Right now, the dominant ones are metaphysical fantasy (the one I coined in 2008 – okay, it’s not at all dominant), dark fantasy, grim dark and dystopian YA. 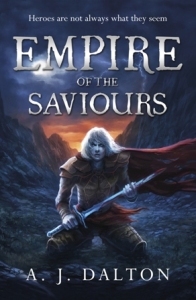 My novel Empire of the Saviours came out in 2011 – it was epic fantasy (my editor removed some of the darker elements) and it didn’t sell too well cos it was ‘out of date’. Shame. Oh yeah? 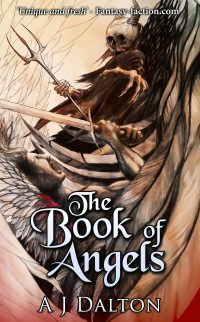 What are some of the agents that represent the dark fantasy, grim dark genres? Agents don’t list the specific sub-genres they represent – they merely list the wider genre (like ‘fantasy’). Then then expect submissions that represent the contemporary voice of fantasy, init. 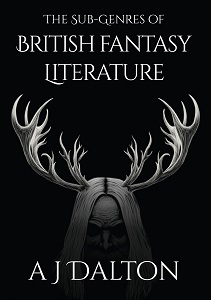 If you want to work out those agents who particularly appreciate ‘dark fantasy’, then I guess you should check out who the agents of leading dark fantasy authors currently are. Thanks for this useful page, I tried some of the agents on here last year, with no luck, yet I did get some encouraging replies but looks like my novel needs a bit more work. It is s a bit disheartening when you look in the Writers and Artist year book for agents that do fantasy and you can count them on about one hand!!! Saying this is supposed to be such a popular genre. Any way, I am working on a second novel so I can give that a go too. I have tried meeting an agent face to face and was so disappointed that he never sent any reply, when some of the ones above who you never meet face to face do. Thanks for this page, kept it in my favourites to go back to when I am ready to try again.